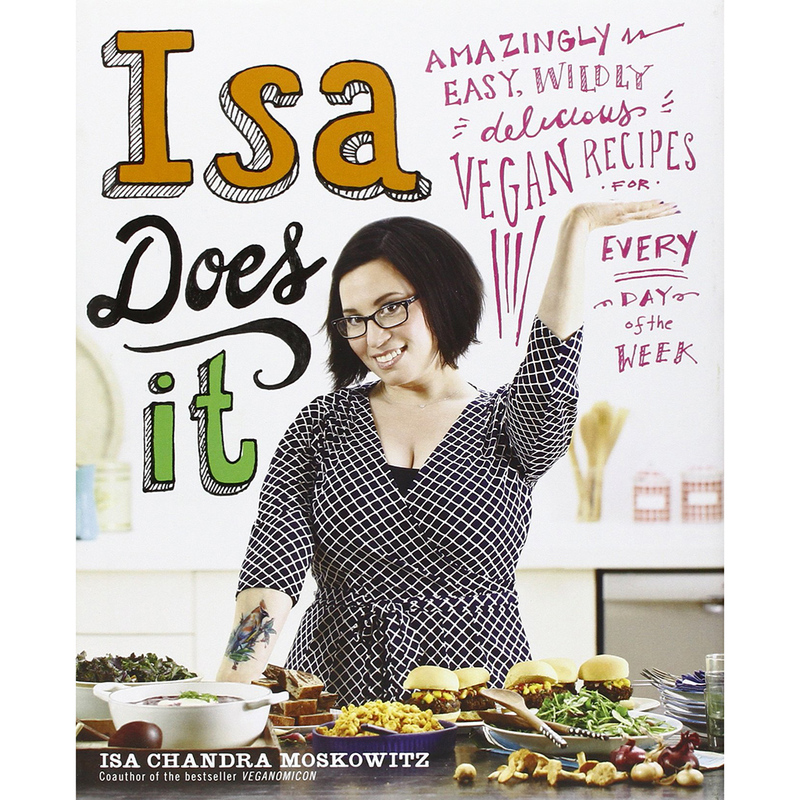 Isa Chandra Moskowitz is vegan cookbook royalty. Starting with the now-classic Vegan With a Vengeance in 2005, itself inspired by her public access cooking show The Post Punk Kitchen, she’s published seven books with an emphasis on natural, inexpensive vegan cooking that’s easy for people to do at home. She has branched out from home cooking, though, having opened her first restaurant, Modern Love in Omaha, in 2014. With a focus on upscale comfort food, the menu includes dishes with a range of influences, from steam buns, to a chili cheese dogg (with lentil chili and cashew cheese of course), to seitan mole and corn pudding. In 2016, she’ll be bringing Modern Love’s refined coziness to her hometown of Brooklyn (and also releasing a holiday cookbook). I called her to find out why now is the right time to open in New York, the inspiration behind her menus and what’s exciting about vegan cooking today. Why Modern Love Brooklyn now? Well, the timing worked out really well because I spent the last year doing the Omaha one and seeing how that went, and just kind of, like, getting my restaurant legs. My friends who own the vegan shoe store MooShoes have had this building that’s been in their family for years, maybe decades. It had been a little garage and they built a whole new building there, and they wanted to do a vegan restaurant. They approached me about it and it seemed like really good timing. What inspired you to open Modern Love Omaha? Was opening a restaurant something you’ve wanted to do, even though you’re known for cookbooks? Yes, since I was little. That’s another reason I want to do it in Brooklyn: Growing up there, even when I was just a young teenager, I would always draw layouts. There was zebra pattern everywhere and people sitting on pillows—but we’re not gonna do that. Doing it in Omaha was just really fun, ‘cause it’s obviously the steak capital of the world, so just having vegan food there, having it be successful and giving people a taste of what can be done with just vegetables, it’s been a lot more exciting than doing it somewhere where it’s everywhere already, like Portland. It was a nice challenge. How is the Brooklyn location going to differ from Omaha? A lot of the point of Modern Love is to take classic comfort food and give it a swanky vegan twist, and I think in Brooklyn, the comfort food people are used to is different. Both I and the other two partners are Jewish, so it’s gonna have a bit more of a Jewish twist there. We definitely brought some of that to Omaha, but I think we’re gonna play around more with what Brooklynites are used to eating. Do you foresee it being a model you can re-create in a lot of cities? I think it only makes sense to places that I have a personal connection to, because otherwise it would be diluted. So having a connection to Omaha and a connection to Brooklyn, I think that’s really important. There are a few other places that I could see doing it in, that I feel it would make sense, but I’m not looking to franchise it. How was the experience of developing recipes for a restaurant different from developing recipes for your cookbooks? It’s just a whole different thing. For Modern Love Omaha, it’s a really small kitchen with a lot of limitations—not too many things could be grilled, not too many things could be fried. Just figuring out the actual method and workflow for each dish was really important. Also, since it’s a really small, selective menu, we had to make sure that we didn’t, for example, have chickpeas on three different things. Keeping each dish very thoughtful and unique, with unique ingredients, was just completely different. Also, plating. I’m willing to do more for a restaurant recipe. I wouldn’t necessarily tell someone to smoke tofu in a cookbook, because they don’t have a smoker. So experimenting a bit more, making things a bit fancier for the restaurant. My chefs help me make it more fancy—because I’m a home cook. I would never put leek ash in a recipe at home. What is exciting to you about what’s happening in vegan food in New York City? I just think it’s great to see places popping up that are doing stuff from scratch and not relying on meat analogues. Vegan cuisine is getting taken seriously as a cuisine, not like, “It’s health food” or “It’s fake food”—because [the judgment] kind of goes to either extreme. As a cuisine, it should be respected, that we’re using all these ingredients in different ways. What are the biggest evolutions that you’ve seen in vegan cooking? I think vegan cheese has come such a long way. Now it’s at the point where it doesn’t have to be “cheeze” with a Z, or spelled differently. Cheese made from nut milks and things like that, and are actually cultured, with nuanced aging—that’s come a really long way. That’s probably the most exciting part, because that’s the first thing people say when you tell them you’re vegan: “How do you live without cheese?” Watching that happen has been really exciting. Watching veganism become more mainstream has been really exciting too: seeing cookbooks be top sellers on Amazon, having people know what you’re talking about when you say “vegan.” Ten years ago in a restaurant, there wouldn’t be a “V” next to vegan menu items. People are really educated about it now. It’s a lot better to travel across the country and across the world and eat vegan now.